Part of one of the world’s biggest and oldest technology companies, HPe slashes the time it takes to turn your idea into a valuable asset. 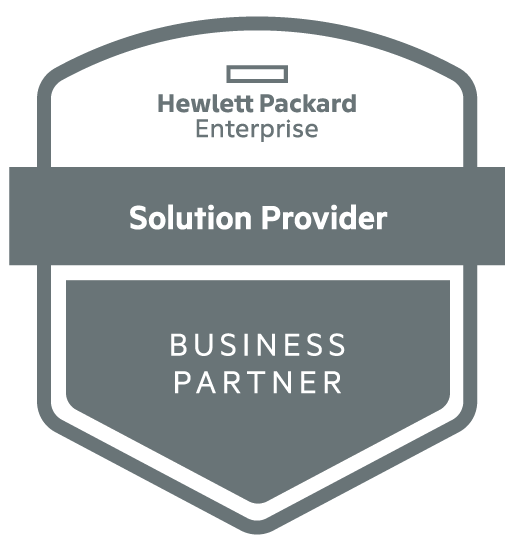 HPe provides the technology to help you succeed no matter where you are in your IT journey and has the tools to help you innovate your traditional IT environment. ITEC is an HP Gold Partner and an HP for Education Gold Partner, providing both managed print services and HP devices to schools, law ﬁrms and businesses. As a HP Gold Partner, ITEC gets early access to products and promotions, and our staﬀ go through a rigorous HP training programme. HPe Gen 10 servers are the most secure industry-standard servers in the world. They will not boot up with compromised firmware and the firewalls protect your firm from inbound threats such as content filtering and emails. This keeps your customer’s data safe, your staff safe and prevents malware attacks from damaging your business. ITEC and HPe create a Managed Cloud Service designed around you. Whatever your need, whatever your industry, we shape the cloud to address your concerns and pain points. If you want to work from a public cloud or a private cloud, HPe software and ITEC’s Managed Service gives you firsthand experience of a faster and easier data operation with end-user consistency and subsequent cost savings. Safely storing data in secure environments is vital to every business. HPe’s storage solutions, especially Nimble Storage, not only keep your data safe, they remove the burden of infrastructure workloads, placing the emphasis on creating work that grows yours business. ITEC designs a plan where your data storage isn’t just a box, but an important cog in your business machine that adds value and makes IT easier. HPe delivers substantial solutions to IOT customers as part of ITEC’s Mobility Service. With the development of a comprehensive network, organisations prime their workplaces for IoT as staff and guests can use their own devices while you have the security and control to make sure no device smuggles in malware. HPe’s technology unleashes innovation by resolving common workplace issues. The support from ITEC has enabled us to focus on developing our care services in the community with the confidence that we can turn to you for technical support as we grow."